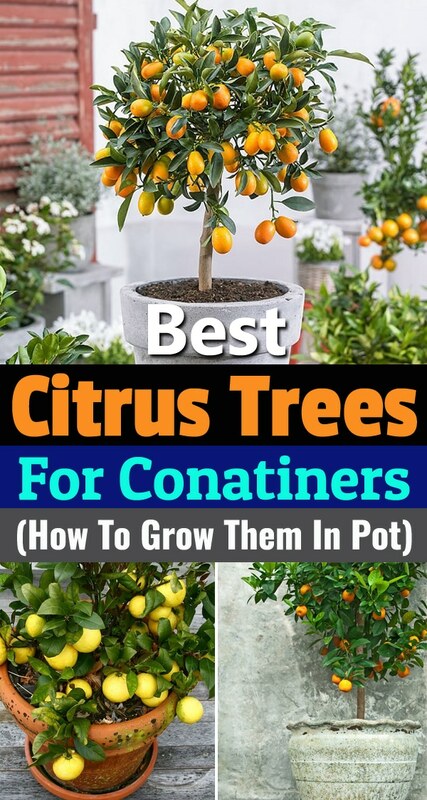 Learn about 5 best citrus trees for containers as Growing Citrus in Pots is not difficult due to their small height and low maintenance! 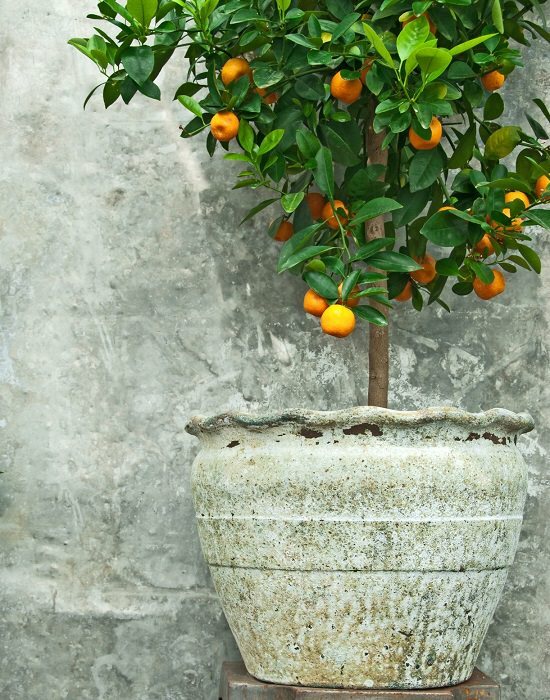 Citrus trees are without a doubt container gardener’s most favorite fruit trees. Oranges, lemons, tangerines, there are a lot of varieties to choose from. 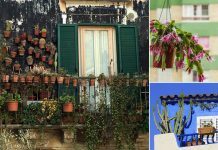 Not just the fruits, they usually make excellent container plants due to their lush foliage and scented flowers—enough reasons to grow them on your balcony or patio. Like all trees, you plan to grow in a pot, always select either a natural dwarf or a tree growing on dwarf rootstock. These citrus trees won’t grow tall and produce enough fruits in optimum conditions. Kumquats produce fruit that looks similar to oranges but much smaller in round or oval shape. One more different aspect of kumquats is you don’t need to peel off their skin to eat them. The skin is sweet, and pulp is tart. No need to select a variety growing on dwarf rootstock because these citrus trees are naturally short. Kumquats do best in areas with warm summers and chilly fall/winter nights. They’re hardy down to 10 F (-12 C) for some time, especially the round kumquats. 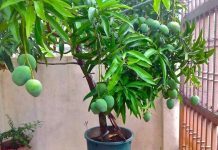 In a really cool climate, bring this fruit tree indoors in winters. ‘Meiwa’ is the sweetest, and least-seedy variety of kumquat. Trees are nearly thornless. Lemons are a great choice in areas with for both hot and mild summers. They especially enjoy a warm subtropical climate, coastal areas, and will produce fruit year-round. Lemon trees are usually short, grow any variety you want if you live in a climate with mild winters. ‘Improved Meyer’ is the best variety for container gardeners living in temperate zones. It is a disease-free version of regular ‘Meyer’ lemons. The fruit is sweeter with thinner skins thanks to the fact that it is actually a lemon-orange hybrid. It can be brought indoors during the winter without sacrificing fruit production. ‘Sungold’ and ‘Variegated Pink’ both have green and yellow variegated leaves. 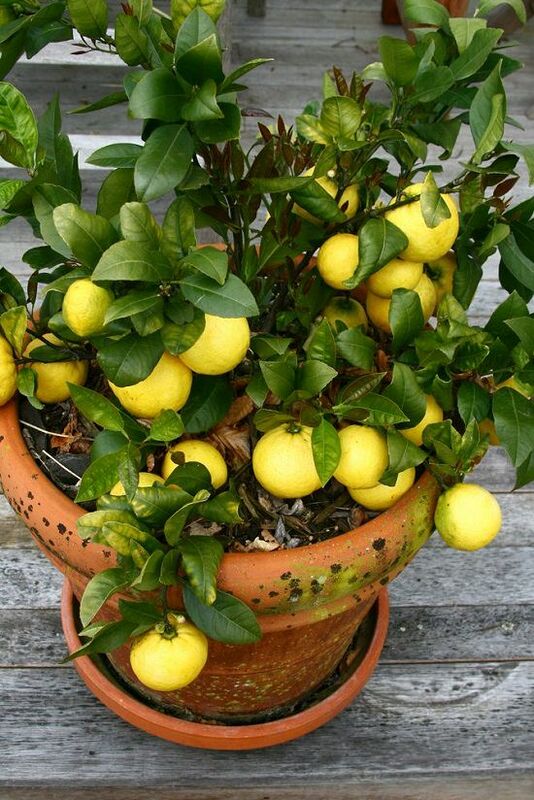 Must check out our guide on growing lemon trees to learn more. Not all mandarins are clementines or tangerines, but both of these are a type of mandarin oranges. The fruits are smaller than common oranges, usually seedless or with fewer seeds, sweet in flavor, and easy to peel. Due to their short 10-12 feet, you can easily maintain them in containers. Mandarins grow well in full sun and warmth, if growing in a cool climate, save them from cold drafts and low winter temperatures. Clementine oranges are the hybrid of mandarins. Sweeter in taste with no seeds and very juicy, learn how to grow them here. Similarly, tangerines are mandarin hybrids as well. They are sweet in taste but more tart than clementines. Oranges need hot summers to produce their sweet but little tart fruit, they don’t do well in coastal areas or in northern climates with very mild summers. ‘Washington’ and ‘Robertson’ are nearly identical varieties of navel oranges. ‘Robertson’ produces fruit two weeks earlier than ‘Washington.’ Growing one of each prolongs your orange harvest. ‘Tarocco’ is a blood orange that has red flesh and a complex flavor with raspberry overtones. Makes an excellent espalier. ‘Trovita’ has thinner skin than navel oranges and has no navel. It also requires less heat than other types of oranges. 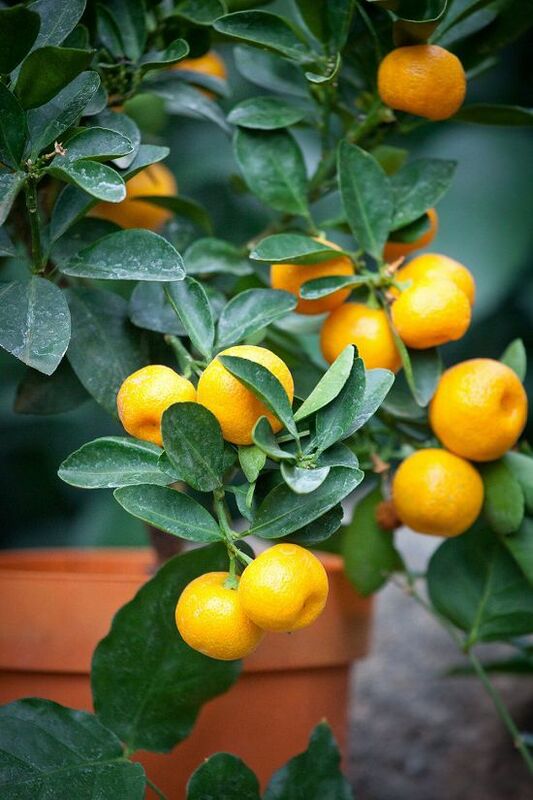 Tip: Choose orange varieties according to your climate and growing conditions. Sweet lime is a popular citrus variety in the Asia Pacific, Indian subcontinent, and the Middle East. It’s juicy, sweet, and non-acidic fruits are very fragrant and popularly used to make fresh juices. This short tree can be grown on the ground in USDA Zones 9-11 or any other frost-free region. Also known as Indian sweet lime, Palestine sweet lime or Mausambi, it usually doesn’t grow tall, a perfect citrus tree for container growing as it’ll not grow taller than 6-7 feet. Like most citruses, it’s a self-pollinating tree. It prefers a warm climate, sunny exposure. Growing it is similar to orange trees. How Many Citrus Tree You Should Plant Together for Fruits? Most of the fruit trees produce the best harvest when they have a similar type of tree nearby to cross-pollinate. Most citrus varieties, however, are self-fertile and you don’t need to grow multiple of these trees together. Good news for small-space gardeners because it means you don’t need to waste space with a second tree. 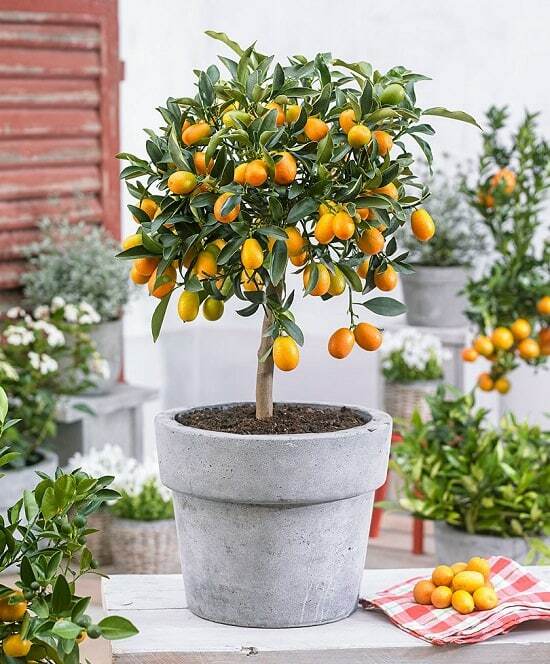 Citrus trees need a pot that is at least 18 inches tall and wide. Select a pot with thick walls; glazed ceramic is ideal. Citrus do not like the super-heated soil found in metal pots. Tip: Choose the pot according to the size of the rootball of your plant. One or two sizes bigger pot than the size of the rootball is ideal. 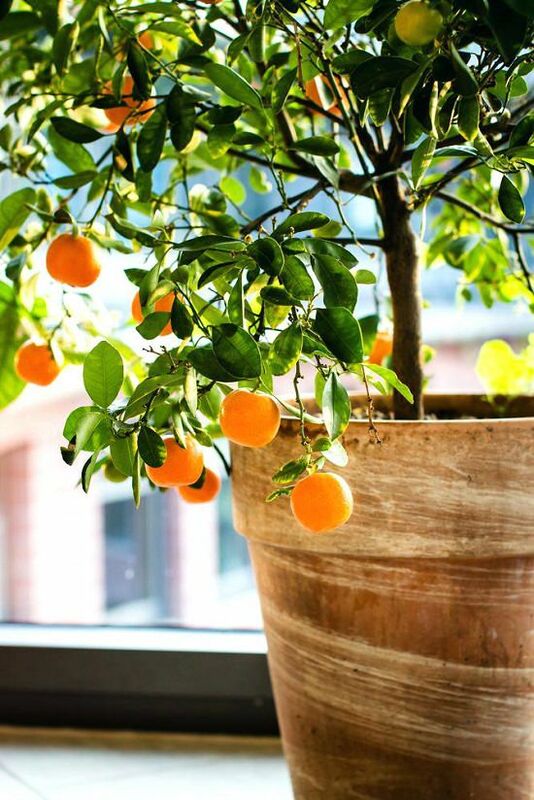 Shift it to a bigger pot once your citrus plant outgrows the container. You’ll need to gently root-prune and re-pot every 3-5 years or so. Do regular watering! You should water your tree often enough so that the soil only briefly dries out between watering. This may be every day in the summer. Withholding water for the week or two before you harvest will help sweeten the fruit. You don’t need to prune citrus trees at all. Pruning will not improve your harvest. Lower branches produce the most fruit, so definitely don’t cut those off. Prune lightly for aesthetic reasons and to remove any dead or diseased branches. Nitrogen is your citrus tree’s best friend. Fertilize monthly from February to November (all year in hot climates) with a high-nitrogen liquid fertilizer according to package instructions. In frost-prone climates start fertilizing later and stop earlier. If the leaves are deep green with burned tips, you’re feeding too much. Citrus is also very sensitive to soil that is too alkaline, a problem for those of us with hard water. If you see the light green leaves with dark green veins, you most likely need to re-acidify your potting soil with some soil acidifier (sometimes marketed as a hydrangea blueing agent). Allow the fruit to ripen up on the tree as citrus fruits don’t ripen after being picked. 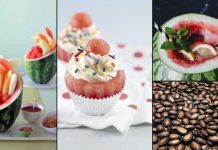 To find out, if a batch of fruits is ripe, pick one and taste it. You can’t identify the ripeness of citrus fruits by rind color, as most varieties color quite early some time before they are ripe. 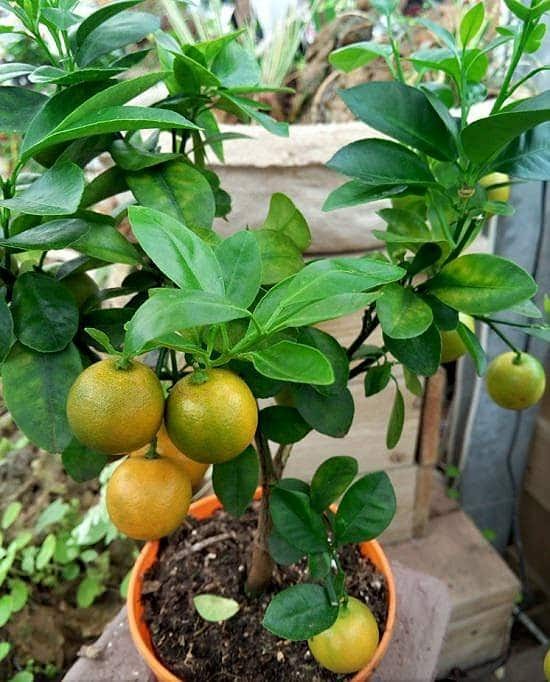 Where can i get seedlings of this dwarf Citrus trees?